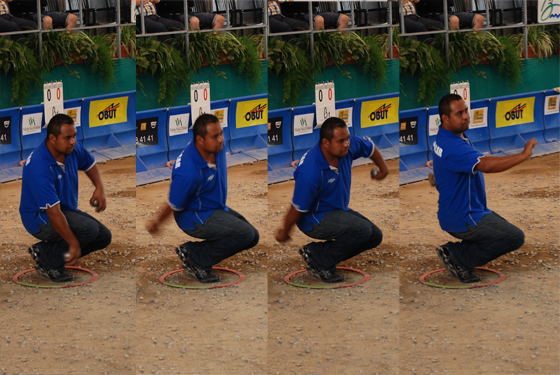 Pétanque is a form of boules where the goal is to throw hollow metal balls as close as possible to a small wooden ball called the cochonnet (literally "piglet") or jack, while standing inside a starting circle with both feet on the ground. The game is normally played on hard dirt or gravel. Grass, sand, or other soft surfaces are not suited for play. 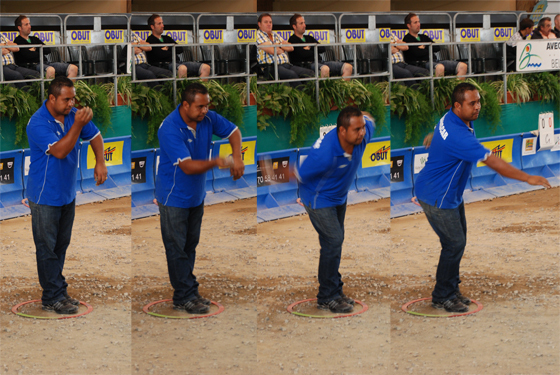 Similar games are bocce, bowls and even horseshoes, as it is more of a tossing game than a rolling one. 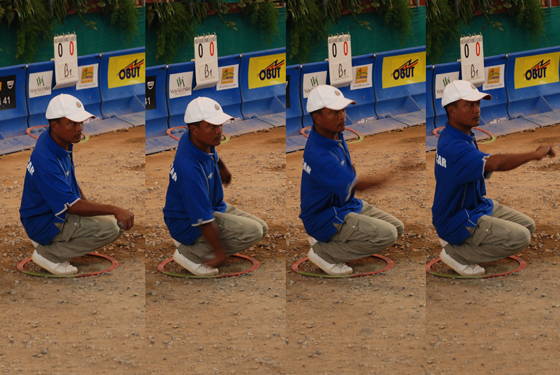 The ancient Romans modified the game by adding a target that had to be approached as closely as possible. This Roman variation was brought to Provence by Roman soldiers and sailors. A Roman sepulchre in Florence shows people playing this game, stooping down to measure the points. After the Romans, the stone balls were replaced by wooden balls. In the Middle Ages Erasmus referred to the game as globurum, but it became commonly known as 'boules,' or balls, and it was played throughout Europe. King Henry III of England banned the playing of the game by his archers, and in the 14th century, Charles IV and Charles V of France also forbade the sport to commoners. Only in the 17th century was the ban lifted. By the 19th century, in England the game had become "bowls" or "lawn bowling"; in France, it was known as boules, and was played throughout the country. The French artist Meissonnier made two paintings showing people playing the game, and Honoré de Balzac described a match in La Comédie Humaine. 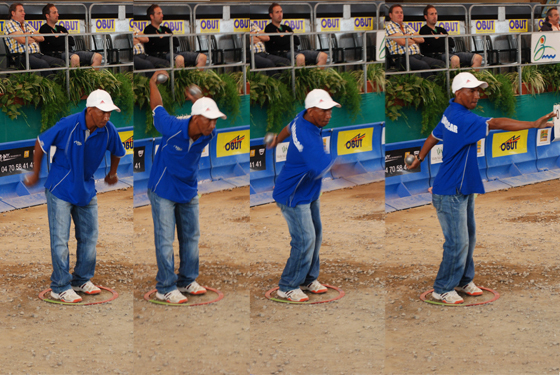 In the South of France it had evolved into jeu provençal (or boule lyonnaise), similar to today's pétanque, except that the field was larger and players ran three steps before throwing the ball. The game was played in villages all over Provence, usually on squares of land in the shade of plane trees. Matches of jeu provençal around the start of the 20th century are memorably described in the memoirs of novelist Marcel Pagnol. For the offical FPUSA rules book please follow this link or 'right click' to download.